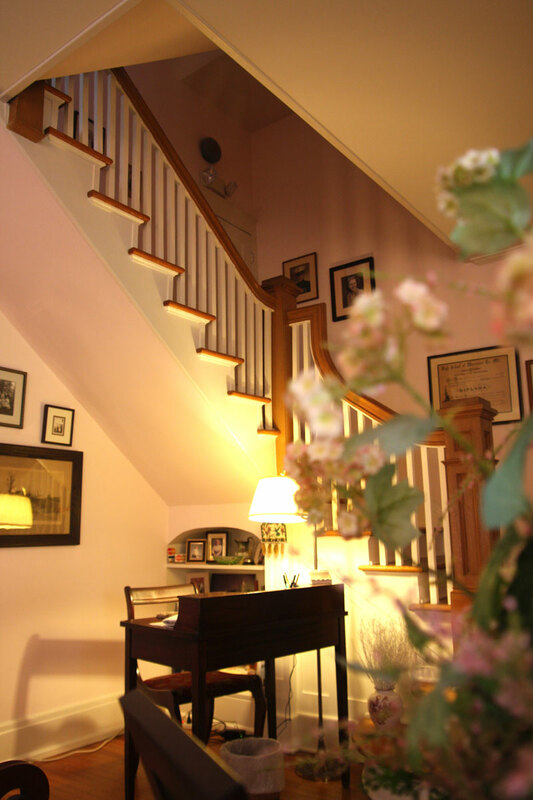 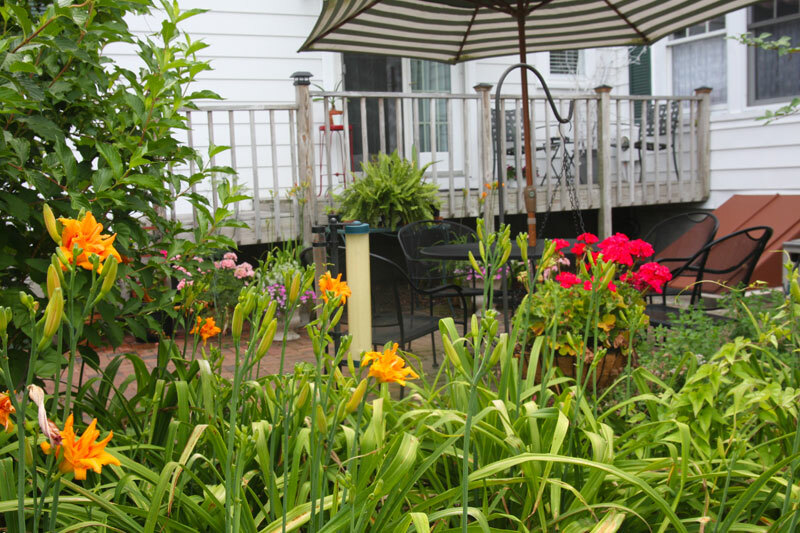 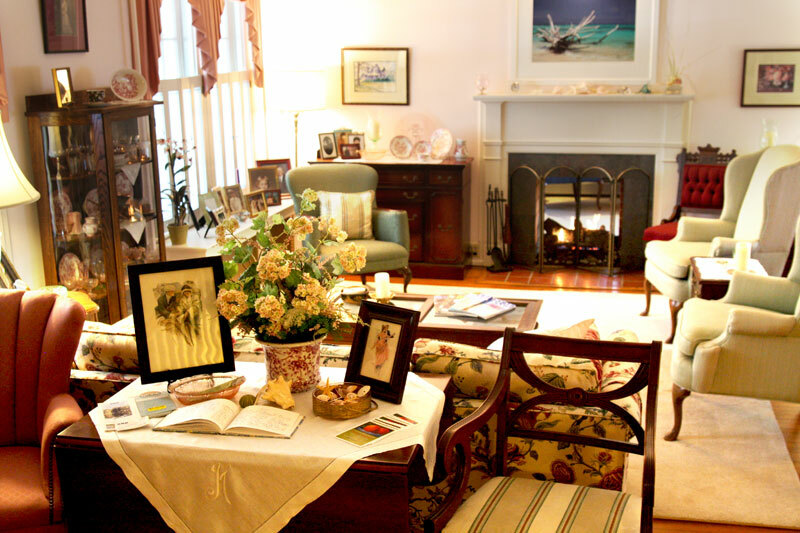 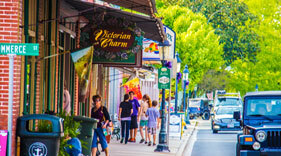 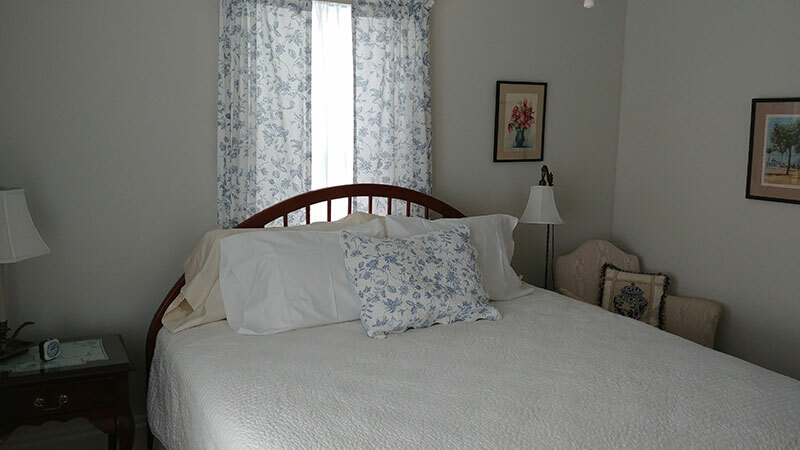 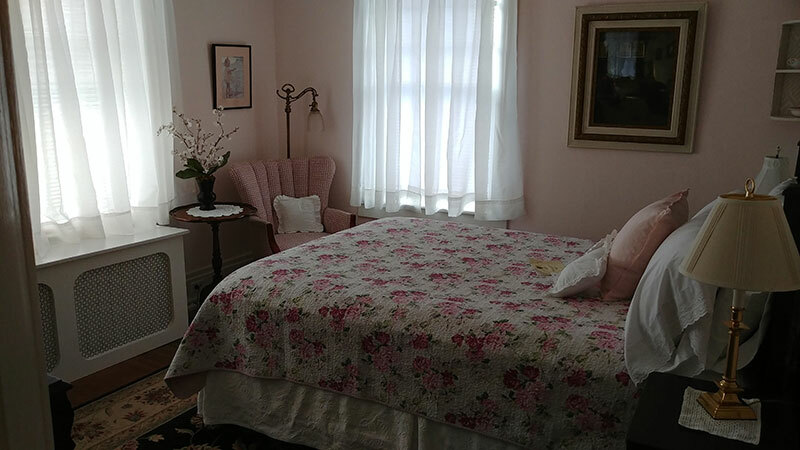 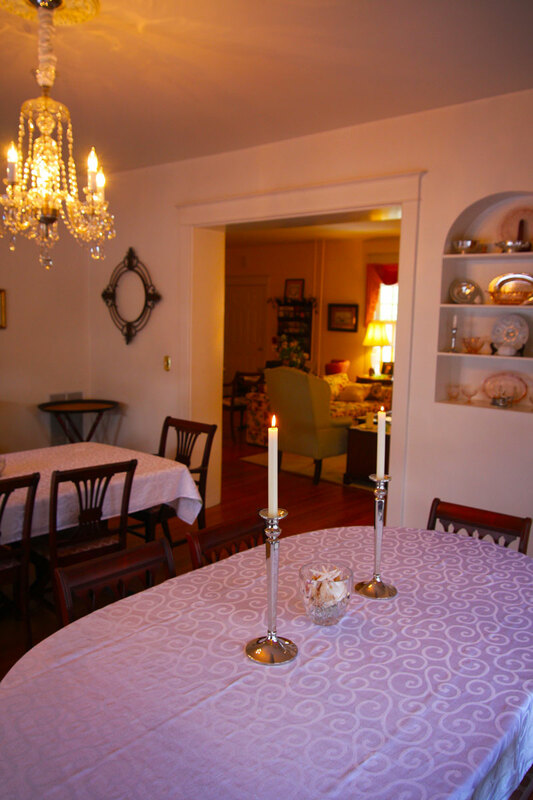 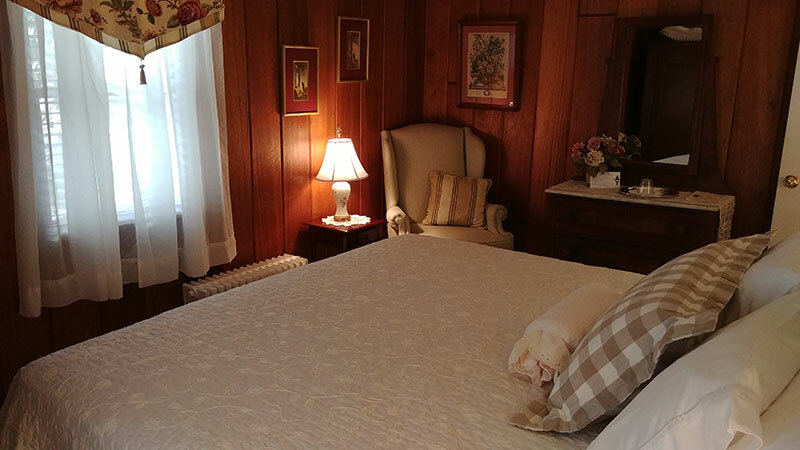 The historic Holland House Bed and Breakfast Inn offers accommodations that include cozy, well-kept rooms decorated with period and antique furnishings. 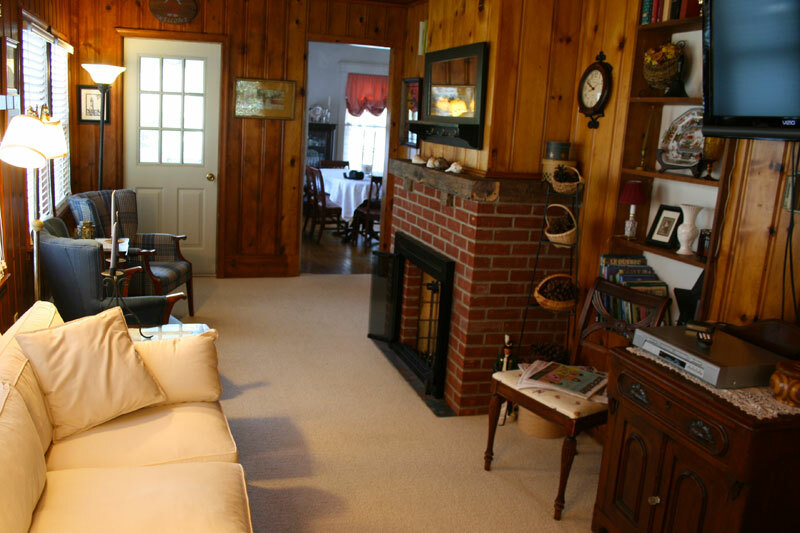 The Inn also offers three common rooms including one specifically designed for lounging and television viewing. 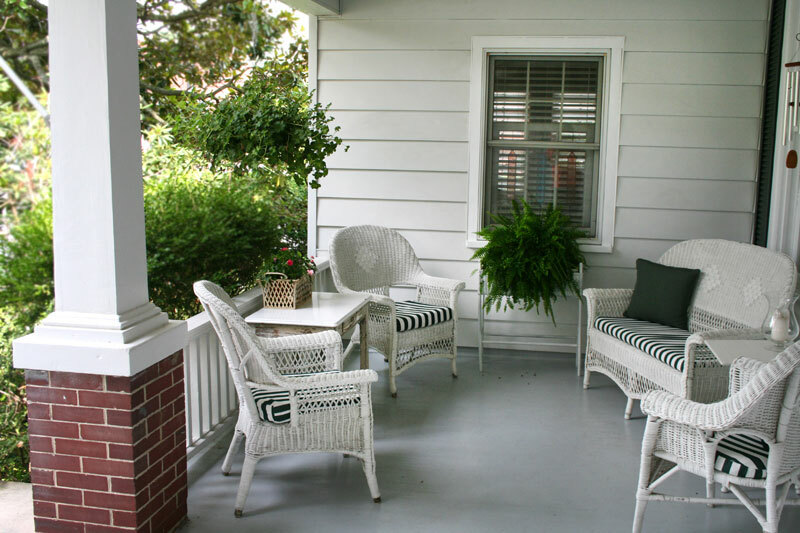 In addition to the three common areas, guests are also welcome to relax on the front porch or in the rear garden / patio area. 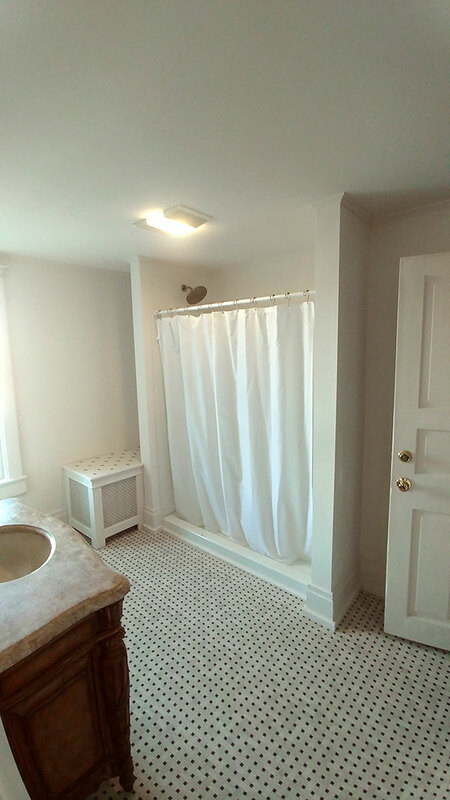 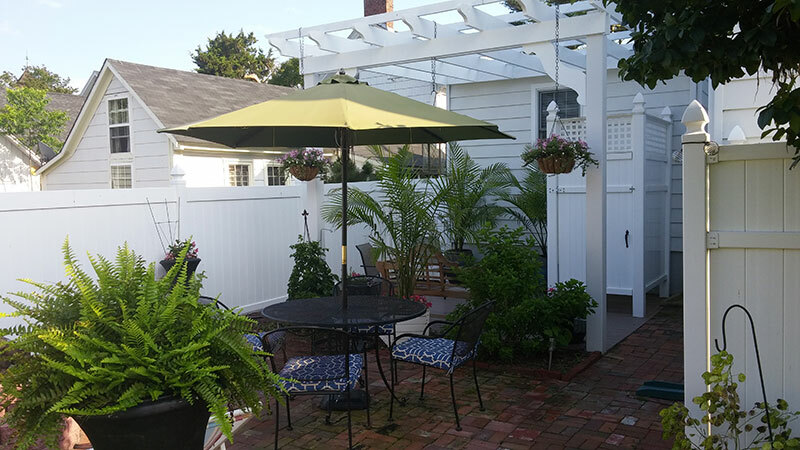 Garden and Patio area also has a hot / cold outside shower for beach going guests. 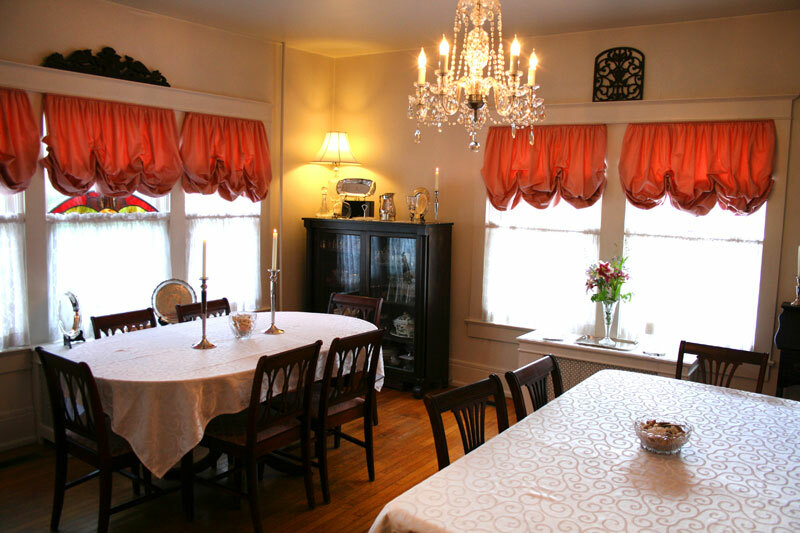 Central air conditioning runs throughout the house. 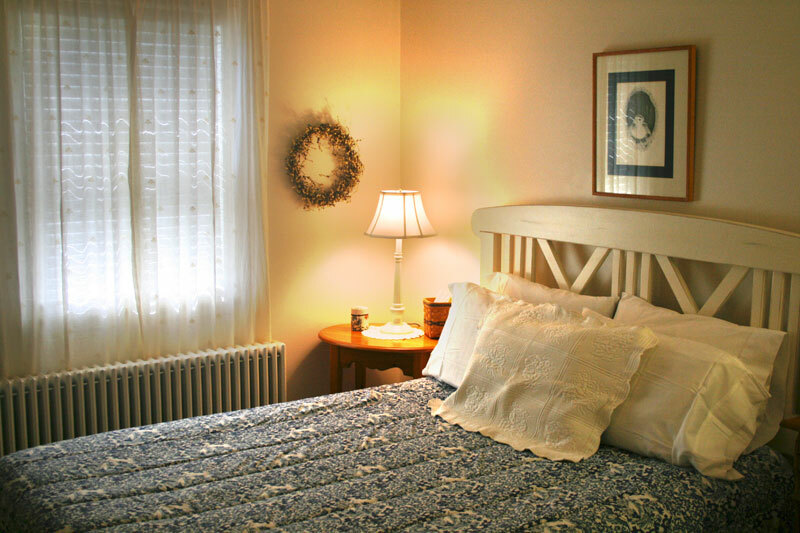 All guest rooms are setup for double occupancy. 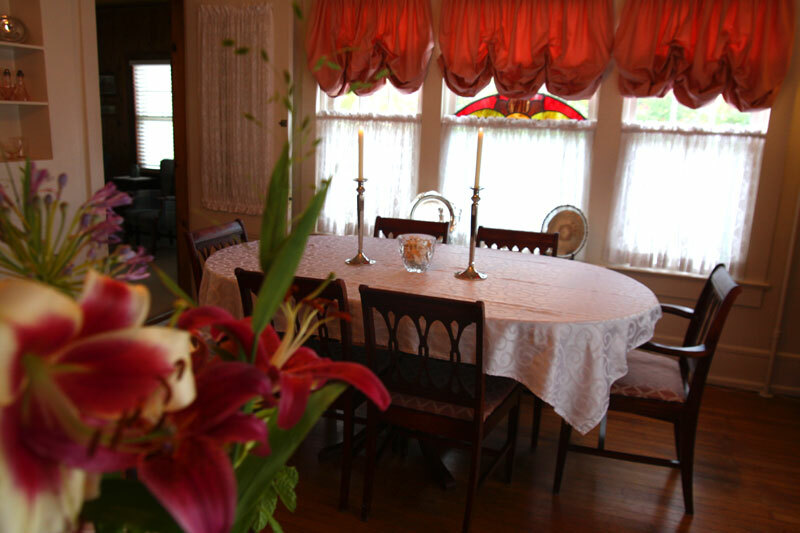 3 king or 3 queens. 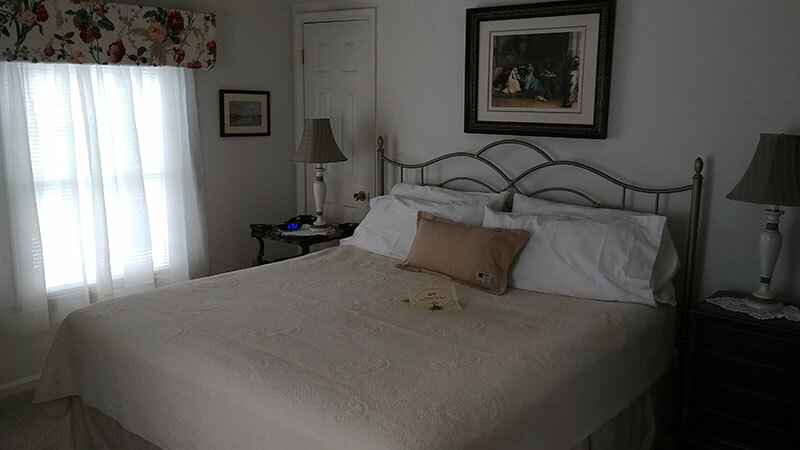 All rooms vary in size and decor, and are centrally air conditioned. 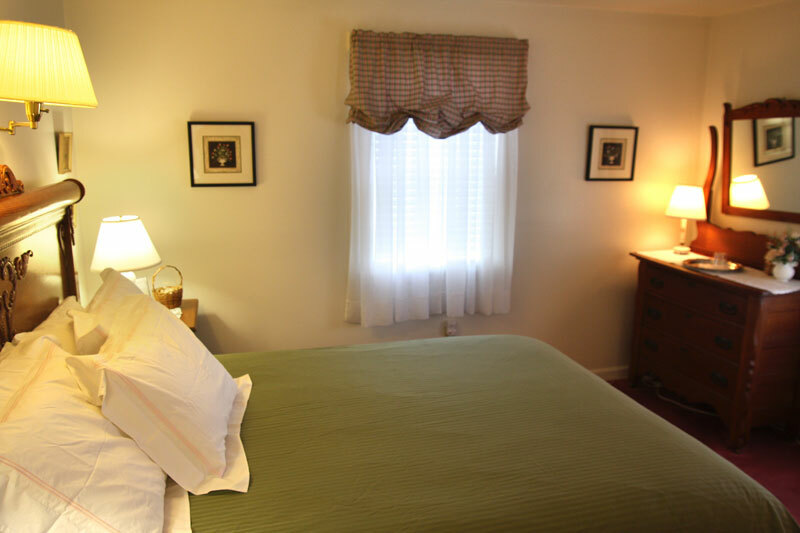 Some of the guest rooms are pictured below. 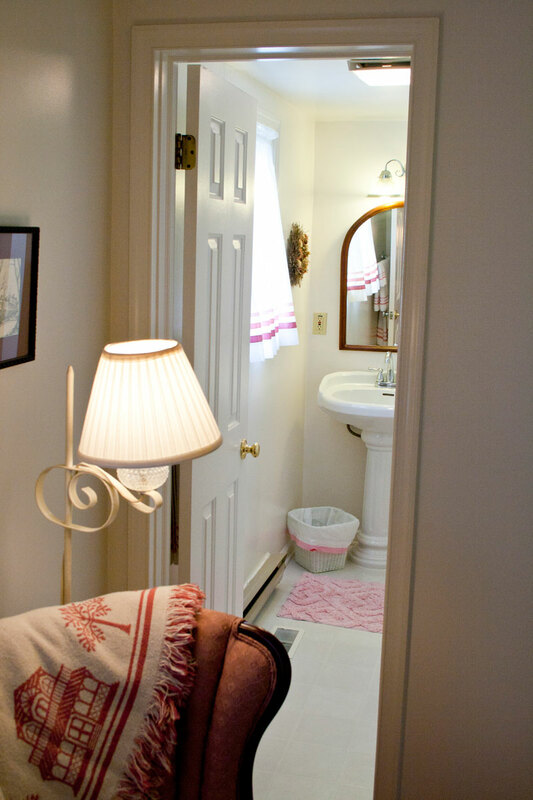 To enlarge image - simply click on it. 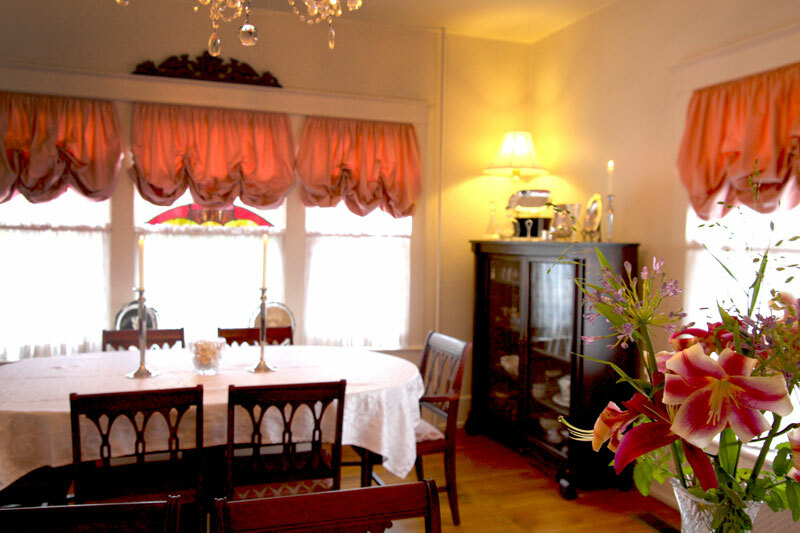 A full breakfast is included with your stay!